Part of the McKenzie collection. Features solid plank top and 2 legal/letter file drawers. 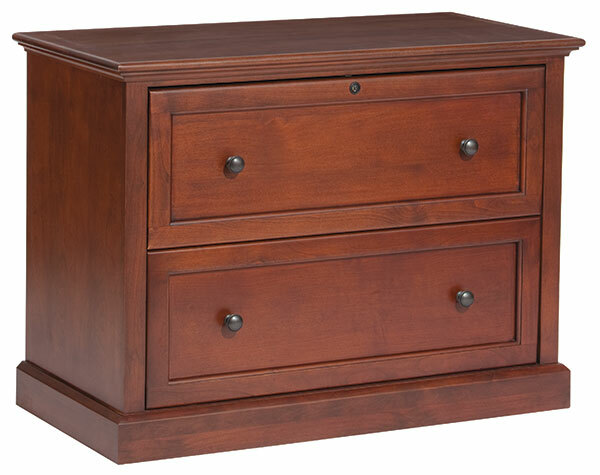 Drawers feature English dovetail construction and full-extension ball-bearing slides. Comes fully assembled. Available in caffe, glazed antique cherry (shown), or unfinished.